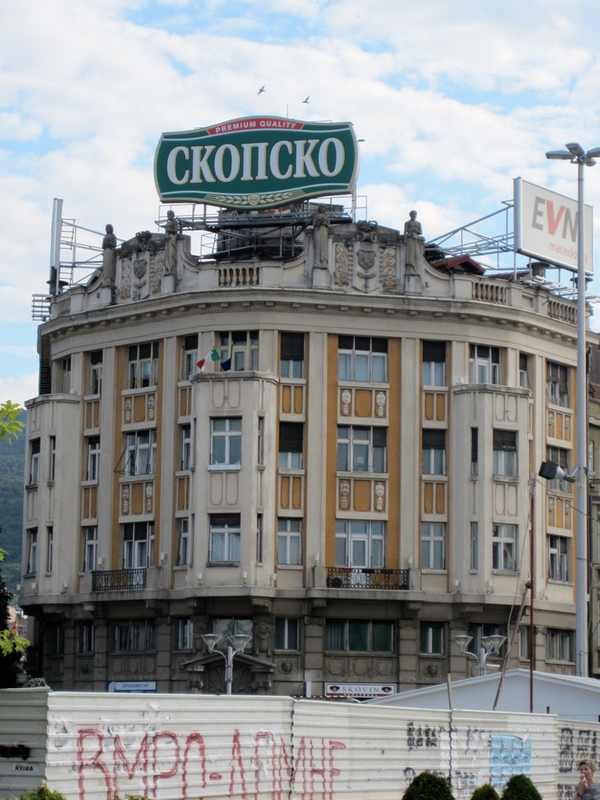 NOTHING AGAINST SERBIA: Skopje - this time for real! 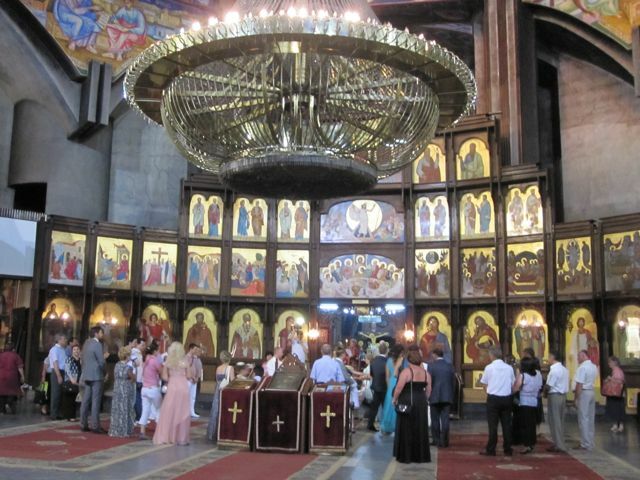 Skopje - this time for real! 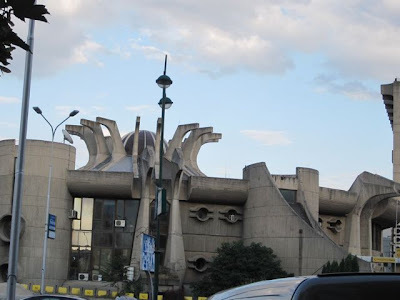 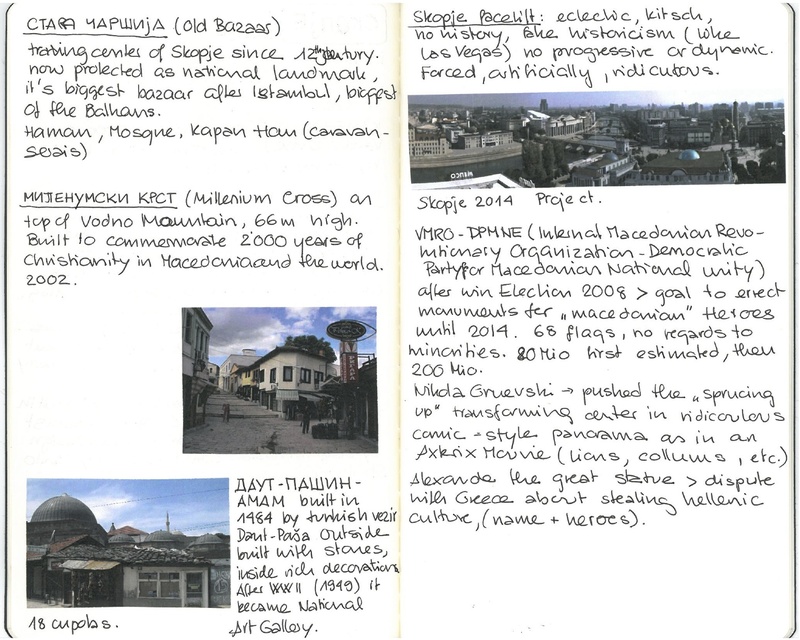 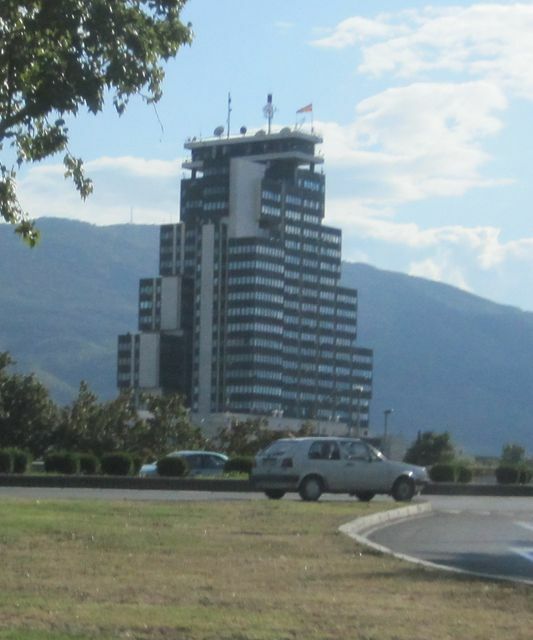 A bit more than one year ago I made a post about Skopje - writing that I wished to visit the city and take pictures of the wonderful buildings I was showing in the post. 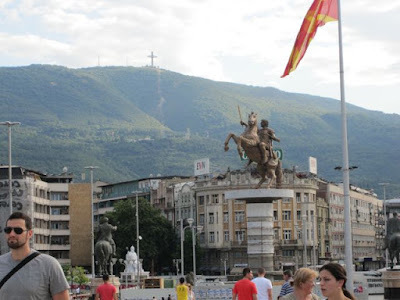 This summer, driving back from a short Greece holiday we had a good opportunity to visit this city. 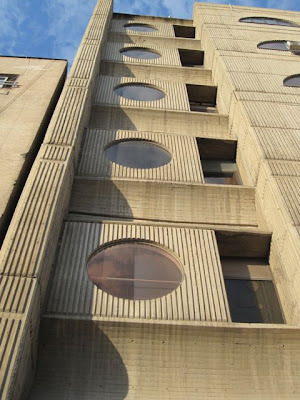 In the beginning I was really exited, as driving into the city I discovered quickly all the modern brutalist buildings of my post. 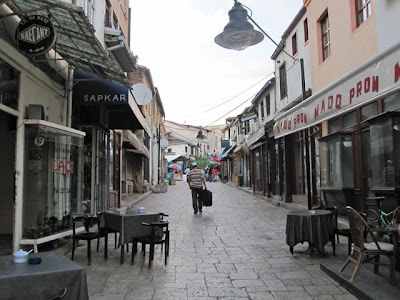 I was also absolutely enthusiastic about the old town, one of the biggest Bazaars after Istambul. 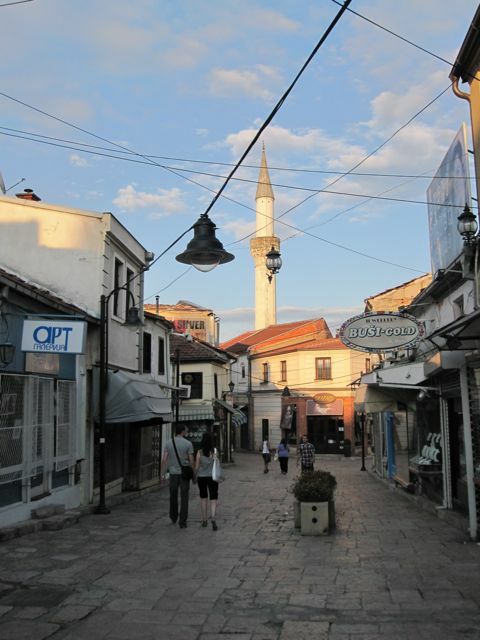 Walking along the narrow streets flanking old caravanserais, hammams and shops made a good picture of what Skopje had been in the past. 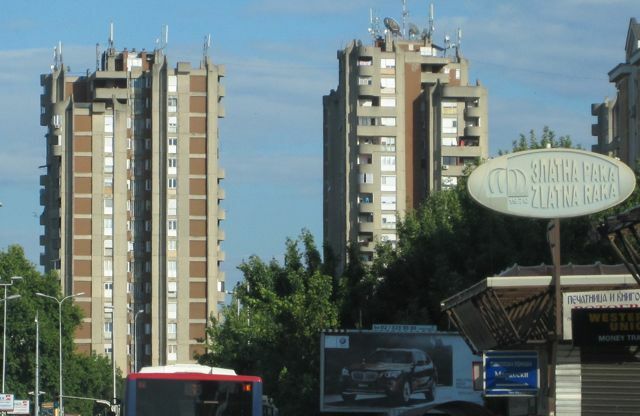 However here you notice the high percentage of Albanian population in Skopje (around 25%). 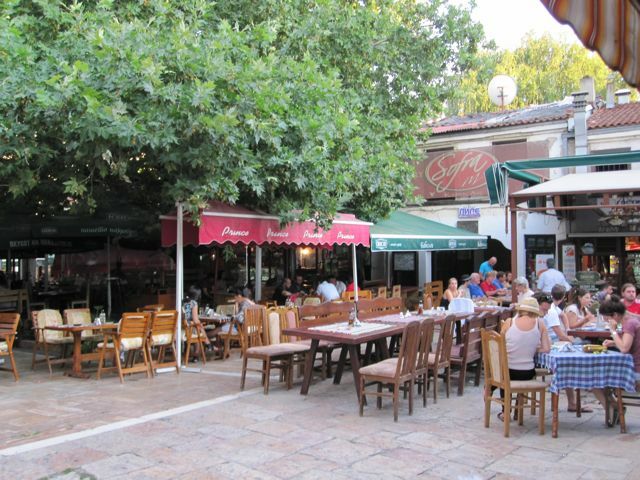 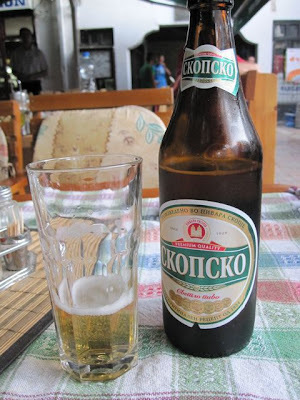 The old town is full of nice squares filled with cozy taverns where I can recommend to try the local Skopsko Beer (скопско Пиво). 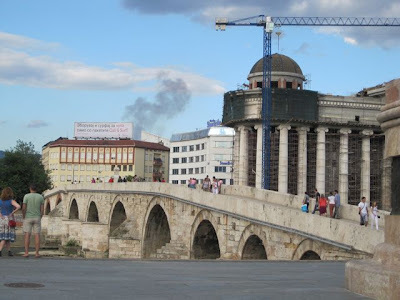 Crossing the old Stone Bridge to reach the other side of the Vardar River I was rather horrified to see what a big nonsense is being made with the center of Skopje!!!! The River Banks and Macedonia Square are being transformed in a ridiculous mix of "Asterix at the Olympic Games" and "Hellenic Las Vegas"! 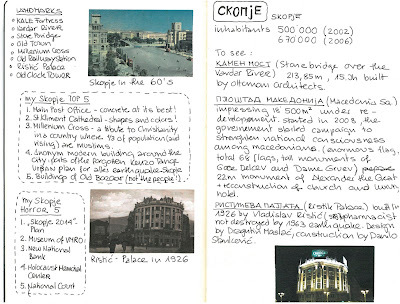 In a span of 5 years investments of 200 Millions € should give Skopje a historical center and an identity. 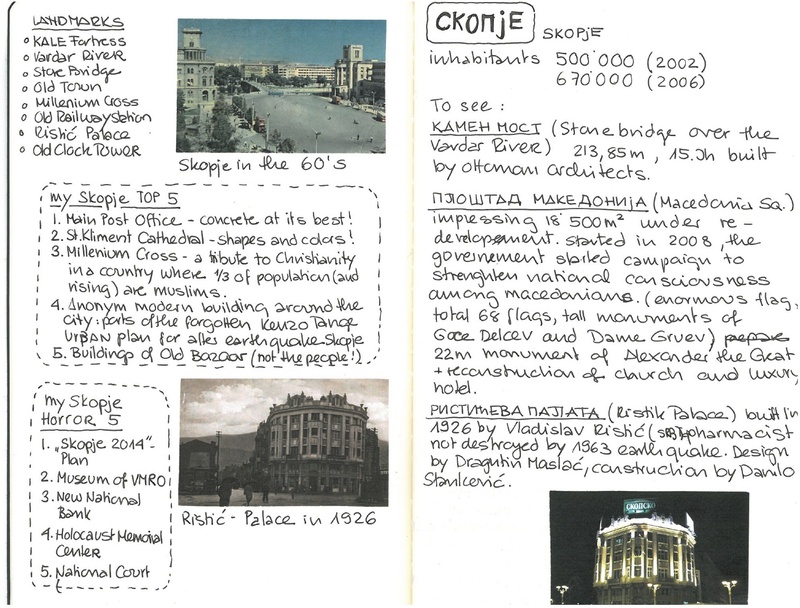 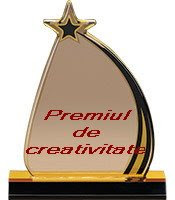 The project is called "Skopje 2014". 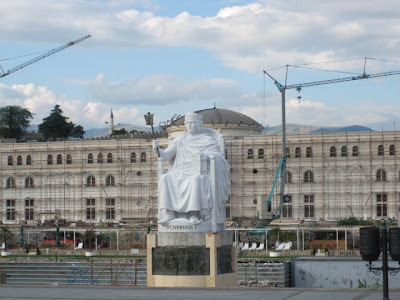 Of course history can not be made by CAD Visualisations and identity can not be artificially created by usurpation of the neighbour's one (what's about the 22meter statue of Alexander the Great, on the center of the square?). The palace is one of the few large buildings in Skopje from that period that survived the shocks of the 1963 Skopje earthquake. 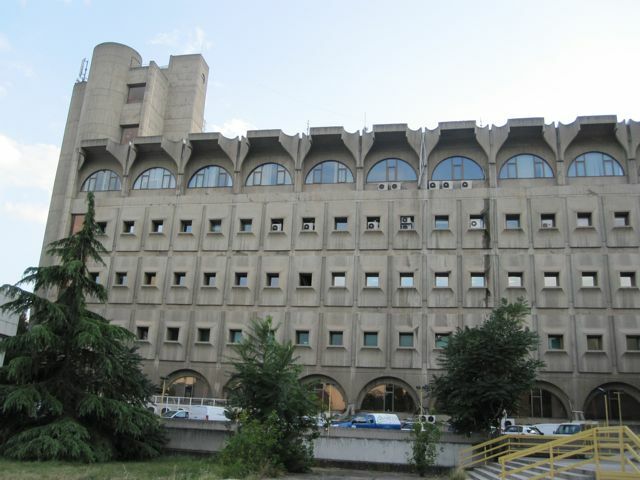 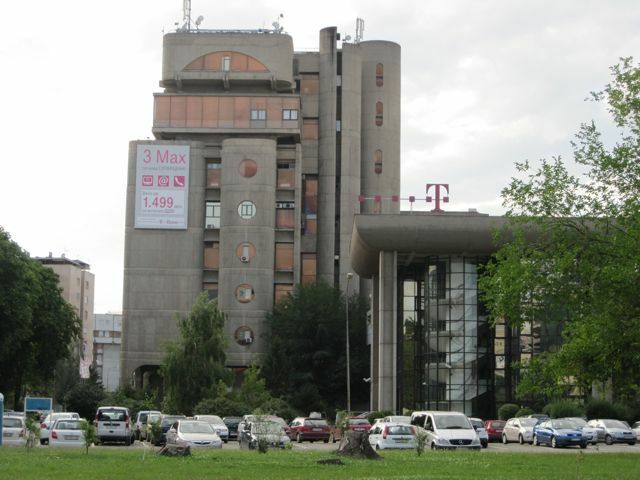 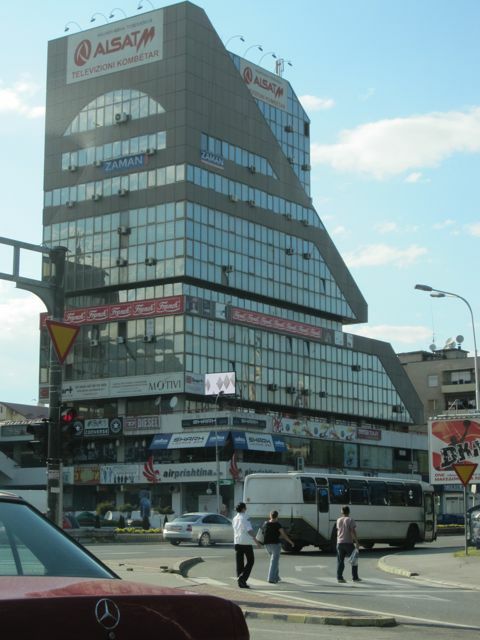 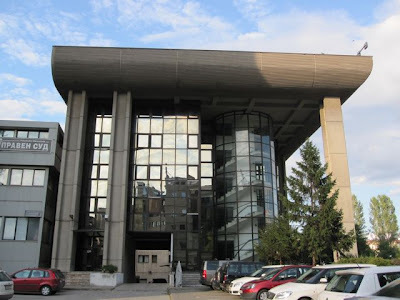 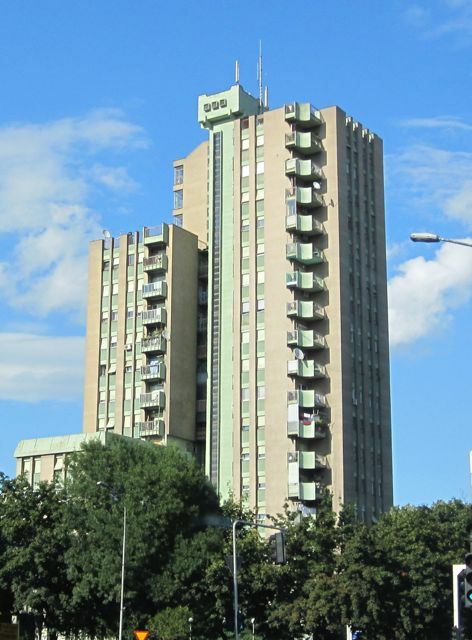 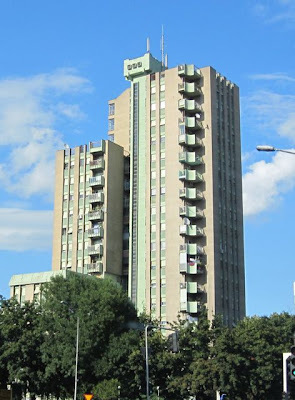 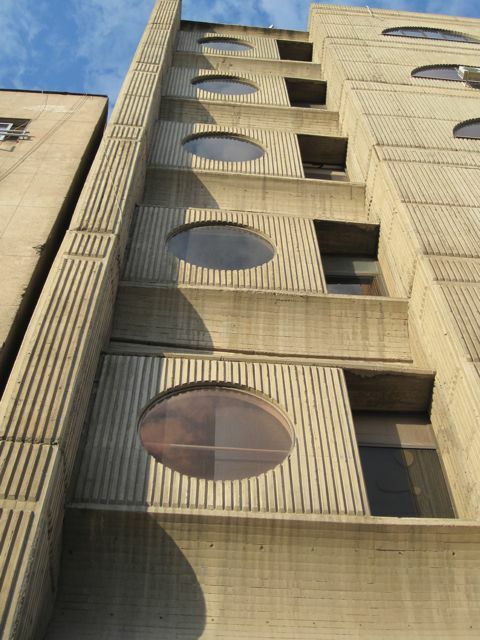 The architectural design of the building is credited to Dragutin Maslać and construction credit is to Danilo Stanković, who provided the sculptural aspects of the building. 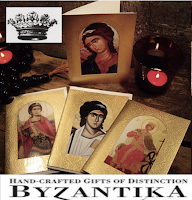 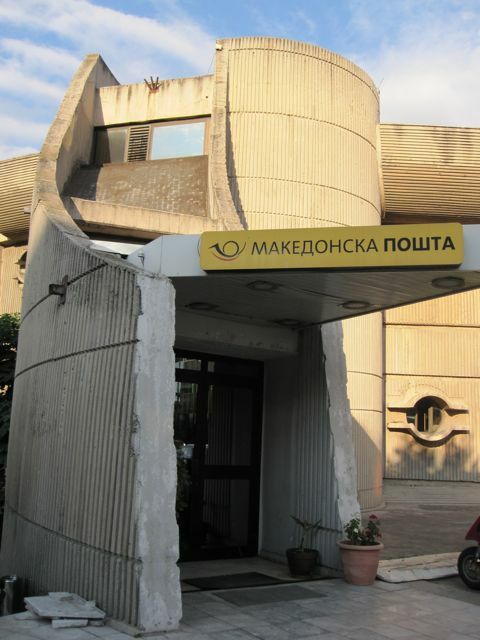 Very nice shots, xpecially Makedonska Poshta !! 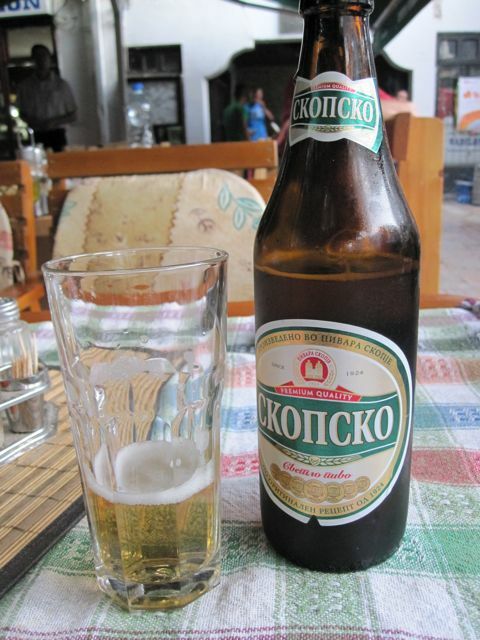 btw hope you've been to Ohrid and then waiting to see where you've been exactly in Greece. 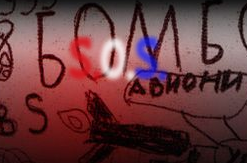 Thanks Ms Larsen! 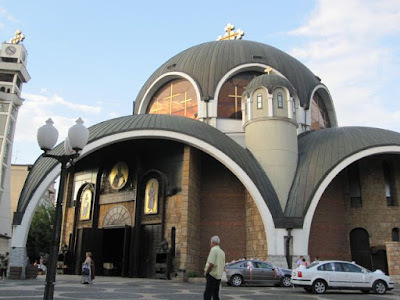 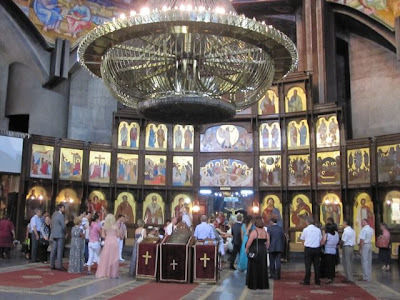 We didn't make it to Ohrid (next time...) we were a bit in a hurry as we had just a few days left to prepare Mirjana's baptisme in the South of Serbia, so also Skopje was just a glimpse. About Greece...wait for the next post! Come dicevo... dopo l'ultima visita, sono ancora più d'accordo con quel che scrivi, in particolare: "The River Banks and Macedonia Square are being transformed in a ridiculous mix of "Asterix at the Olympic Games" and "Hellenic Las Vegas"!" Ma soprattutto: "Of course history can not be made by CAD Visualisations and identity can not be artificially created by usurpation of the neighbour's one". 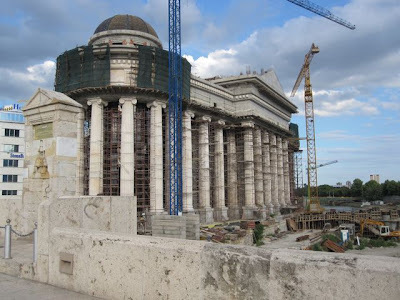 I also am extremely disappointed about the laughable faux neo Greek whatever building going on. 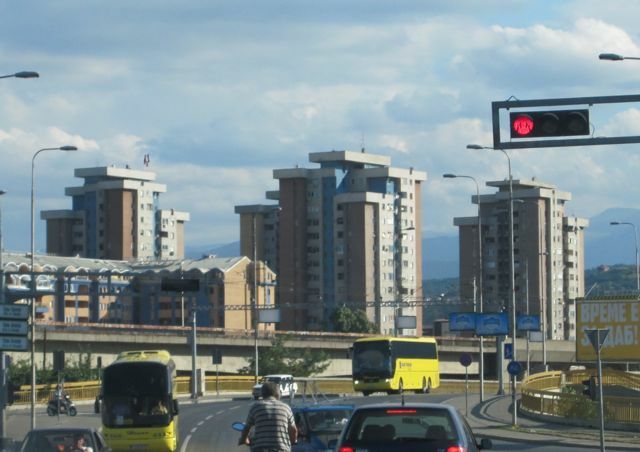 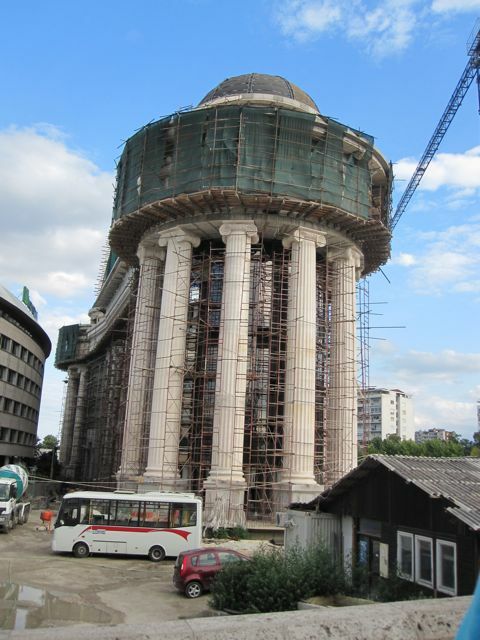 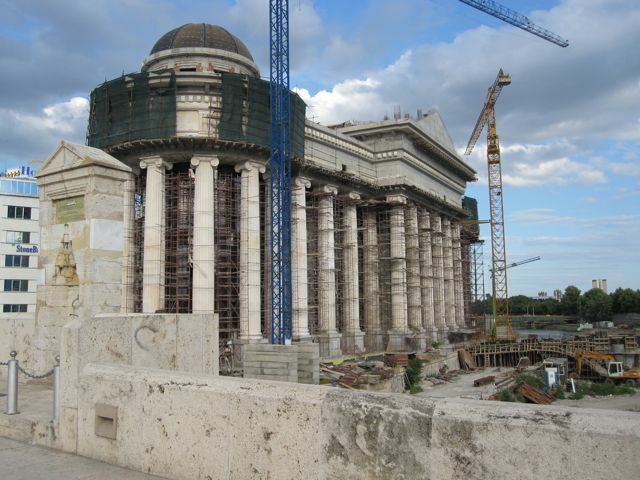 Having been to Skopje in 2006 then again in 2012 imo the change is a travesty.